Thinking of Buying a Horse or Want to Buy a Pony … Here’s what you need to know and should consider before buying a horse. It’s a big thing, a massive responsibility and you have to think about it, seriously. A standard horse or pony can live to be 30 years old and will need to be provided with care, grooming, stabling, grazing, veterinary treatment and farrier or blacksmith treatment throughout its entire life. Our Equestrian Community Members have Horses for Sale with all types of horses and ponies on offer. But, you must consider wisely before committing to buy any horse or pony. TIME – Looking after a horse is a time consuming hobby. Make sure you have the time. ABILITY – Be realistic and assess your own capabilities and consider carefully the type of horse you want. Don’t buy an 18hh stallion if you’re just learning to ride. FINANCES – Buying and caring for a horse is a huge financial commitment. Make sure you set yourself a realistic budget that includes future care costs and includes stabling, feed, tack, vet and farrier costs. STABLING – Consider where and how you will keep your horse. This will affect you financially & will affect the time you spend with your horse. Livery stables offer a wide variety of options from Grass to DIY or Full livery. Check out the livery page and make enquiries before you buy. TYPE – Decide on your horses essential qualities before you rush to buy. 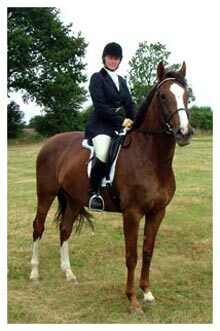 Do you enjoy the adrenline rush of showjumping or cross-country or the discipline involved in dressage or do you just want to hack out on country lanes. Remember the old adage – ‘Horses for courses’ and buy the type that suits your needs. FUTURE – Think about the long-term prospects of the horse. Don’t fool yourself that it is quick and easy to sell or re-home an outgrown horse. Horse and ponies can live well into their thirties if looked after properly and costs don’t really get any less if you’re no longer riding. VET – Always have a vet carry out a pre-purchase veterinary examination. When you agree to buy make sure you note that the purchase is ‘subject to passing the vet’. Not everyone is unscrupulous and sometimes owners aren’t aware of problems. It just pays to be careful and current fees for vetting are around £150.00, but check with your vet as different examination levels can cost different amounts. LOAN – If taking a horse on loan, either as a pre-purchase or long term loan; make sure you have a clear & simple loan agreement that protects both parties and that both parties sign and fully understand. It is not known discount aripiprazole whether Strattera is harmful to an..